Couscous is a word that comes from the classical Arabic word” kouscous” (pronounced in English as /kuskus/) and form the Berber word “kseksu,” that designates both the durum wheat semolina and the traditional dish of which it is the main ingredients. 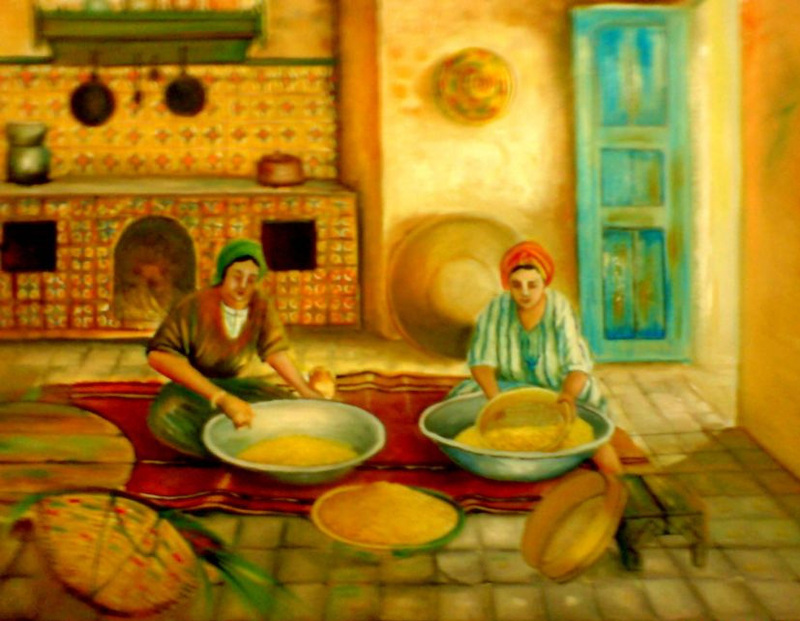 However, some think that the word “couscous” could be derived from the classical Arabic word “kaskash” (to pound small), that means crushing and grinding. Did you know that couscous is actually a Berber pasta dish? As such, it’s funny to hear several rumors about couscous history and how it might have originated in China. However, according to archaeological evidence, it is indeed North African. Utensils required to make the delicious semolina-based dish date back to the 9th Century. Another interesting fact about couscous history: One of the first written evidences of its existence was found in an Andalucian-Moroccan cookbook from the 13th century (Wiki). All over the world, it is now well-known as the National Dish of TUNISIA.